Speaking at the Freedom Online conference at The Hague, European Commissioner Neelie Kroes called for the European Union to develop and distribute technology to help bloggers and others living under oppressive regimes to communicate safely—and anonymously—with the rest of the world. 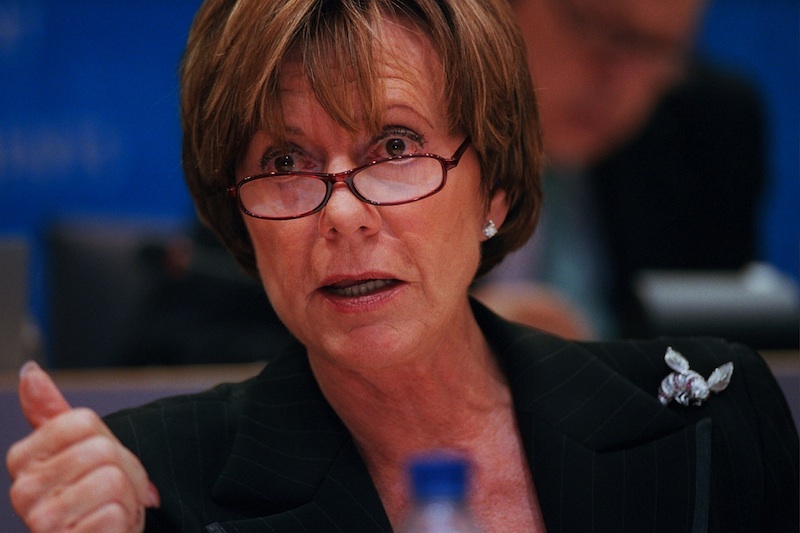 Kroes outlined a four-part strategy that included not only developing technology to aid in communication, but also teaching activists how to use it, developing “on the ground” intelligence about how to best operate the services, and broad cooperation between governments, the private sector, and activists. Separately, the Dutch government has pledged €1 million (about US$1.3 million) to assist the development of ad-hoc mesh network technologies that bloggers and other social media activities could use to disseminate information in the event governments shut down Internet and/or mobile phone service—Iran, Syria, and Zimbabwe were named as potential deployment targets for the technology. The Netherlands has separately earmarked another €5 million for other unspecified online freedom projects. Earlier this year, the United States pledged funds to help develop similar technologies. Kroes emphasized that tools need to be simple and ready to use so they can be deployed quickly by activists with minimal technical knowledge and training. Further, the tools should readily accessible not just from computers, but from mobile phones, social networks, and microblogging services. “I want the EU to help develop and distribute those tools, in a framework that ensures the legitimacy of our action,” Kroes added. Among the ideas that have been explored are so-called “suitcase Internet” systems that can be used to create independent, ad-hoc IP networks using a number of base stations that look like ordinary suitcases, boxes, or other everyday items. Although most suited to urban areas, the mesh networks could create Wi-Fi and/or cellular service independent of government or telecommunications providers’ control, enabling activists to communicate amongst themselves—and the networks could also be connected to uplinks, whether that’s a still-working Internet connection, cell phones, an unmonitored satellite phone, or other gateway to get information out to the world. Other development has focused on short range automatic Bluetooth beaming, that would essentially apply some of the notions of peer-to-peer file sharing over short-range Bluetooth connections, enabling anyone running the appropriate software to surreptitiously—and automatically—help with moving data and information along as soon as they came into range of a new source. Twitter is officially a teenager now. Are we raising a monster?